I grew up as a Flintstones Kid (ten million strong and growing! Remember those ads?) – my childhood was all about chewing up little vitamins shaped like Fred and Barney. Grape was my favorite! In retrospect, that didn’t begin a healthy relationship or understanding of vitamins. Now that I’m a grown woman (and can do whatever I want), I’ve become so much more conscious of what supplements are actually for, and why I should take them daily. So why should we take a daily multivitamin? And are the ones you may currently be taking even really doing anything for you? What about your diet? When should you be taking which vitamins? To get real answers, I reached out to Drs. Romy Block and Arielle Levitan, the founders of VousVitamin. Together they have co-authored The Vitamin Solution: Two Doctors Clear Confusion About Vitamins and Your Health. I discovered their brand in 2014 (and blogged about them here and for Mode.com). I love the concept of personalized multivitamins for your specific medical needs — for example, my doctor tells me I need an iron supplement and Vitamin D. It’s great getting that in one pill, customized for my needs! The Drs. welcomed my questions and broke the vitamin thing all the way down. Read on to find out which supplements you should be taking, when in your life, and why! Afrobella – Why get a custom multivitamin instead of just a store-bought multivitamin? Drs. Romy Block and Arielle Levitan – We are not all the same. We have different diets, lifestyles and health histories, and all of these factors influence our unique nutrient needs. For example where you live may impact how much vitamin D you need (because it is largely obtained from sunlight), and whether you eat red meat may determine your iron needs. It is important to meet your personal needs with the right nutrients in the proper amounts. Taking too much of certain vitamins and minerals can also be harmful. For example, large doses of vitamin A supplements have been associated with cancer and osteoporosis. 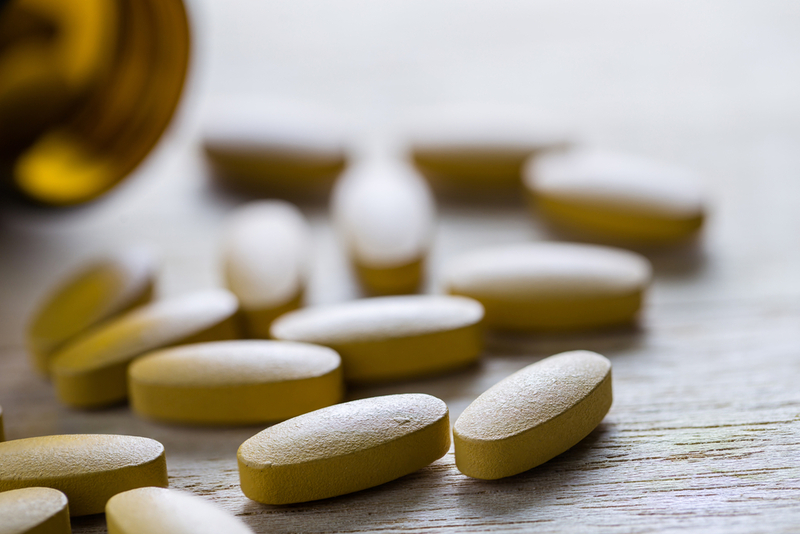 Most Americans are not vitamin A deficient, yet this vitamin is found in most store-bought multivitamins. In addition these products for the masses often contain many unnecessary heavy metals and other fillers. Afrobella – Gummy vitamins are huge right now. Are there any benefits to taking pills versus gummies? Drs. Romy Block and Arielle Levitan – While many people prefer chewable gummies to taking pills, the gummies are less studied in terms of absorption. They also may contain smaller amounts of certain nutrients compared to pills. To get the proper amounts of nutrients from many gummy formulations, you may need to take up to 4-6 chewables per day, which can be bad for your teeth as they are often high in sugar and also bad for your waistline, as they are typically high in calories. Finding easy to swallow, coated pills, like VousVitamin, is a better strategy than popping candy-like supplements. Afrobella – What specific vitamins and minerals are essential for women over 25? Over 35? Over 45 and beyond? Drs. Romy Block and Arielle Levitan – Our vitamin and mineral needs change with age for different reasons, often lifestyle being a key factor. Women in their 20’s tend to be deficient in calcium and some B vitamins due to dietary lapses. They also need significant iron to make up for menstrual losses. The need for iron persists and often increases into the 30’s because pregnancy and nursing continues to sap the body of this vital element. Iodine also is of increasing importance during childbearing years since it plays a key role in supporting the thyroid. As women approach the perimenopausal years in their late 40’s, other nutrients such as vitamin D gain increasing importance, as do certain nutrients such as vitamin E and magnesium. These needs vary from person to person based on their diet and other health factors at each given stage of life. Afrobella – We can take a multivitamin, but many prefer to get vitamins and minerals in their food. What should we be eating more of to improve our overall health in 2016? What should we eat less of? Drs. Romy Block and Arielle Levitan – While it’s ideal to eat a balanced diet to get most of your nutrients, unfortunately most of us still fall short in everything we need, even when we eat healthfully. This is in part due to the fact that the soil is now demineralized and thus, the lack of nutrients in the soil makes fruits and vegetables less nutritious than in the past. Also, certain vitamins, such as vitamins D, are hard to get from food. This nutrient, so important for our bones, hair, mood, memory, immunity and more, is found in very small amounts in milk and in significant quantities in liver. Most of us do not get enough sun exposure to provide consistent amounts of vitamin D, and could benefit from a supplement. Additionally those of us who avoid table salt and processed foods lose valuable sources of iodine. The best bet for your health is a largely plant based diet, rich with lean proteins and whole grains. Avoiding processed foods and highly saturated fats is still advised. You can make up for any shortcomings with a personalized multivitamin that provides you with nutrients you need based on age, lifestyle, diet and more. Thanks, docs! You can get your personalized vitamin at Vousvitamin.com and check them out on Facebook and Twitter. Yes we were all given Flintstones as our vitamins. Now with my health issues I take a diabetic vitamin that does not have ingredients that work against my illness. On occasion I take soluble Vitamin C.
Thank you so much for this article. Custom made vitamins, who knew?